Luxor, a principal city in the Upper Egypt, today is also called El-Aksur. Famous as the site of the ruins of the ancient Egyptian city, Thebes, is often referred to as the “world’s greatest open-air museum”. 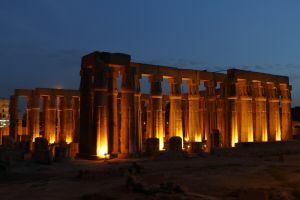 The Luxor Temple, Karnak Temple, and the Malkata are the most visited sites in the city. Across the River Nile from Luxor, spreads Valley of the Queens and Valley of the Kings with numerous temples, monuments, and intricately decorated tombs of the West Bank Necropolis. In the antiquity, during Egypt’s New Kingdom, the city was the capital of Upper Egypt, known as Thebes. 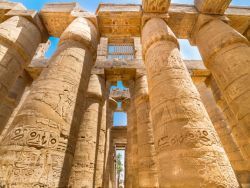 It thrived as early as the times of the 11th Dynasty, and it was known for its high social status, and served as a center for political, artistic, scholarly and religious center. Luxor was attacked by Assurbanipal, an Assyrian emperor, who installed the Libyan prince, Psamtik I. The city fell in significance but remained a site of spirituality up to the Christian Era, when Christian monks from the Roman Empire established their monasteries here.